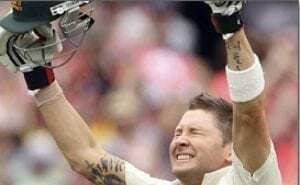 LOVE him or hate him, Michael Clarke is one of the finest cricketers of his generation. Australia’s 43rd Test captain, who last week retired after the Australians’ embarrassing innings and 78 run loss to the English in the fourth Ashes Test, whacked 8626 runs across his career, which is good enough for fourth most by an Australian all time. He cracked 151 on his Test debut, the fifth highest total by a debutante in test history and has a highest score of 329 against bitter enemy India – the fifth highest score by a Test captain. His 1595 runs in the 2012 calendar year were the most by an Australian and the fourth most all time, and came at an average of 106.33. He made four double centuries that year – the most in a calendar year ever. But more recently, times have been tough. He’s past the fifty mark just once in his past 11 innings and averages just a tick over 16 this Ashes series. He fell on his sword after the debacle at Trent Bridge and, despite his stacked resume, copped it from many sides in the days after. “When you don’t perform there’s always going to be Chinese whispers and ‘he says, she says’,” Clarke said. “At the end of the day the players are the ones who walk onto the field, we have to perform and we haven’t performed well enough. “I can guarantee you the feeling in this group is exceptional. “There’s no disharmony in this group whatsoever. “The players are as tight as any team I’ve been a part of. “Travelling in different cars? What a load of s***. “Wives and girlfriends being on tour is a distraction? What a load of s***. “I’ll give back 10 of my Test hundreds if it wasn’t for my beautiful wife, Kyly. “The amount of happiness and joy that she brings to me is a massive part in pushing me to get me out of bed to try and be the best player I can be. We tend to agree with him, so we’ve decided that there’s been enough negative press and we want to celebrate his career by taking a look at some of Clarke’s greatest Test innings. The great man deserves a medal for some of these performances and we hope we hope he goes out with a bang at the Oval next week. One of the toughest innings you will ever see from a Test cricketer. Clark got the mother of all working overs from towering Proteas seamer Morne Morkel. The barrage was one of the most hostile in recent memory, but the dogged captain would not be budged. One of the knocks on Clarke had always been that the rock star lifestyle, flashy cars and fast women had made him a bit soft and susceptible under fire. This innings would put that to rest. People still talk about the day Clarke survived Morne Morkel. Yep, 128 would seem like just another routine score for a guy who had whacked century after century in his long Test career. That’s until you look at the circumstances. This century came one week after Clarke farewelled fallen friend Phil Hughes, who was tragically killed when hit on the neck by a bouncer during a shield game. It rocked the cricket world to its core and could have been the catalyst for a ruined Australian summer. And no one would have blamed the emotionally scarred Aussies if it did. But Clarke wasn’t having it. He delivered the Eulogy at a tearful service for Hughes just a week before he walked out on the Adelaide Oval to confront the Indians. And it would become one of the most iconic cricket innings of all time as he looked to the sky to honour his mate, having gone through two days of chronic back pain that had forced him to retire hurt on 60. He returned on day two and, battling the pain and the inner demons of his mates untimely passing, made it to 128 before he was dismissed. It’s arguably the toughest emotional innings ever played and it won him even more fans. If there were still questions about his toughness, they were dispelled on this day as he did it for Phil. We’ll just forget the Aussies were routed for just 47 a day after this innings. But Pup’s 151 at Newlands was one of the grittiest innings you will ever see. None of the Australian bats could get going in trying conditions, but Clarke would not be denied. 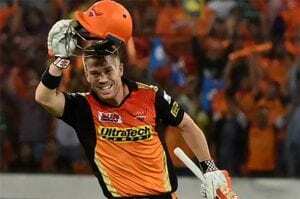 He slammed 22 boundaries in an innings that featured just 36 and tried to throw the nation on his back in the face of a world class pace attack of Dale Steyn, Vernon Philander and Morkel. They couldn’t get to him, like they did the other Australian bats and it became another feather in his cap. His highest Test score in a calendar year where he reeled off more runs than any other Australian before him. Clarke is one of just five Aussies to hit a triple century and it was fitting that it came against a side that he had such a bitter rivalry with. Never a fan of the Indians, Clarke would have taken great joy in plundering them all over the Sydney Cricket Ground in front of his home deck fans. You might not remember, but the Aussies were in trouble at 3/37 when he came to the crease. But that clearly mattered little as he put the Indians to the sword, eclipsing their first innings total off his own bat. This kid was always going to be a future Test captain. The young buck with the good looks and the talent to die began his love affair with the Indians with a debut century that would write him into the record books. 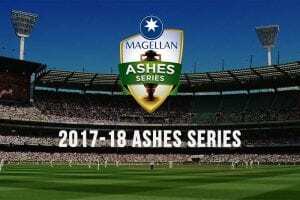 Coming up against Indian spin twins Harbahajan Singh and Anil Kumble – both pathologically competitive beasts, Clarke reeled off a superb 151 that featured 18 fours and four sixes, announcing himself to the cricket world as the next big thing. His mastery of spin would become a feature of his career. Clarke added to his legendary 2012 season with a double ton after striding to the crease with the Australians teetering at three for 40 odd. It was not unlike his triple ton against the Indians, except it didn’t reach those heights, but would still become his second highest score and help etch himself into the record books for his performance across the calendar year. Clarke smashed 26 boundaries in the innings and didn’t give a chance. Another day, another double ton in 2012. Seriously, the cricketing Gods must have been smiling on Clarke that year. The best bowling attack in the world was again put to the sword by a devastating Clarke innings. Again, he as forced to the crease with Australians on the brink, this time at 3/55. And again he provided the answer. The double century came on the opening day of the Test and featured 40 boundaries and one six. It came off just 220 balls against the best bowling attack in the world and it looked effortless. Probably his signature inning for pure batting flair and speed of scoring. Morkel will never forget being whacked for four five times in an over and neither will we. Since he’s about to play his last Test against England, we’ll sign off with a classic against the Poms. 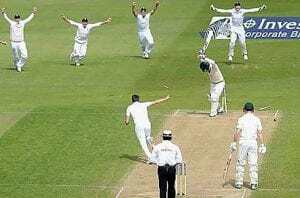 The Aussies were terrible on this tour in 2009, handing England the Ashes. But it wasn’t for lack of effort on Clarke’s behalf. English seamer Freddie Flintoff was in the form of his life and the Aussies were set a chase of 522. It looked possible with Clarke at the crease, the hardening youngster buckling down to negotiate 136. But he fell early on the last day and that was all she wrote for the Australians.